There can be little question that public libraries in England have an enduring place in people’s hearts and provide highly valued services. 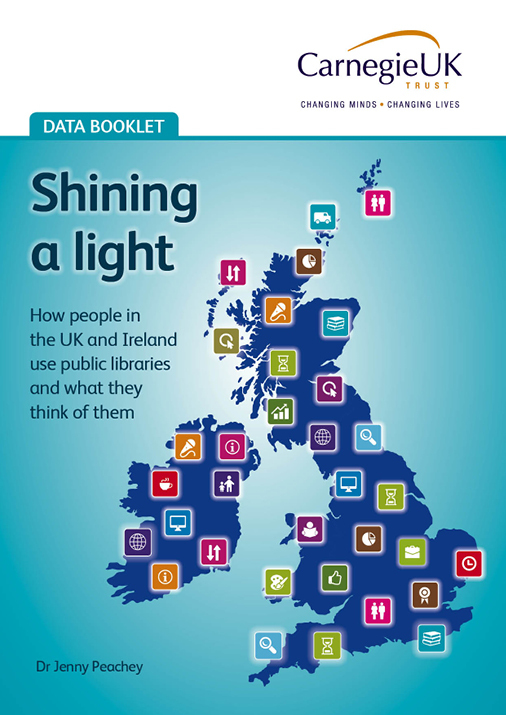 Almost ¾ of people (72%) say libraries are essential or very important to their community and almost half (46%) of those surveyed used a library in the past 12 months. Few other public or charitable services, if any, can demonstrate this sustained level of voluntary citizen engagement. There is more good news. Research by the Carnegie UK Trust, which compares library use between 2011 and 2016 across the UK and Ireland, has revealed that young people aged 15-24 years old are the most likely age group to use libraries in England (51%). Meanwhile, almost half (46%) of 25-34 year olds are also now using public libraries, a rise of 2 percentage points since 2011. Challenging the stereotype that libraries users are older, the research also shows that over 55s are the least likely age group to use the library. Intriguingly, public libraries in England are also serving more people who are not avid readers. More than a third of people (37%) in England who read only one book a year now say that they use a public library. Again, 40% (+5 percentage points from 2011) of people who only read one book every six months also now identify themselves library users. What, then, are the challenges moving forwards? First up, overall library use has dropped 4 percentage points from 50% to 46% over the last five years. Also the frequency of library use (the number of library users that use or contact the library at least once every month) is under pressure - a drop of 6 percentage points from 52% to 46% - over the same five year period from 2011. People are therefore either choosing not to use the library as much as they once did – or are finding it more difficult to do so. Secondly, although 72% of people say libraries are essential or very important to their communities, only 40% say that libraries are essential or very important to themselves personally. This begs the question of how people who recognise the importance of libraries for others – but not for themselves – view libraries. Is it that they don’t recognise what a library offers as relevant to them, or is it the case that the library does, in fact, have little to offer them? Or is this a problem about the lack of awareness about the services libraries offer overall? Or a combination of all three?! Thirdly, 48% of people said that they would use the library more often if it was possible to search for and reserve books online – a service that is, in fact, already on offer. This - and the finding covered in the last paragraph - points to the need to build on more effective communications and branding. After all, lack of awareness about what libraries offer means that the service may be misunderstood and underutilised by individuals and groups who could benefit from it. Fourthly, whilst being a prolific reader is a predictor for the likelihood and frequency of library use in England, a sizeable percentage (21%) of people who rarely or never read books use the library. The challenge here lies in developing services that continue to be attractive to prolific readers and services that are appealing to those who are not – whilst not inadvertently dissuading either group from using the library. 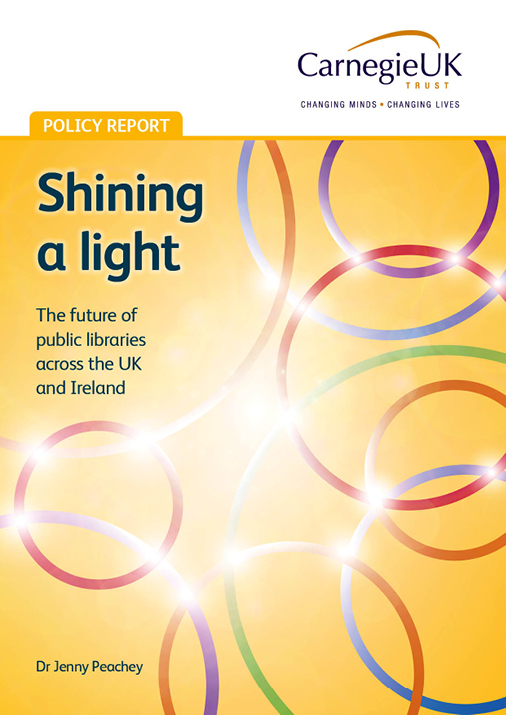 Finally, since 2011, there has been an increase in the proportion of people who would be encouraged to use the library in England if a range of suggested changes and improvements were made (for example, providing better information on the services that are delivered, offering more events and providing other council services in the library were the most popular changes in England). It follows that there is an ongoing need for public libraries to cultivate their ability to future-gaze, innovate and test out ideas in order to anticipate and meet community needs. Libraries are treasured resources in the heart of local communities, with the best public libraries enabling citizens to fulfil their potential and aspire to greater things. At the Trust, we remain focused on forging a positive future for the public library service and look forward to working hard with our partners to bring about the changes we need to ensure a flourishing public library service.